Weigh in on the discussion on Hacker News! I have a whole slew of spare parts sitting around that I used to build my robot. However, you don’t need everything I used in order to create your own phone-controlled Arduino with different functionality. Just a note, that the plastic chassis I’m using is no longer in production, but the one on the parts list is comparable and made by the same company. If you want to build the complete robot, you will need all of the parts listed or at least a comparable set. 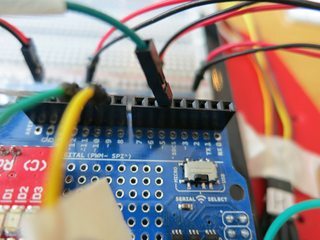 If you’d just like to experiment with a WiFi-enabled Arduino, you only need the required parts. The wiring is relatively simple, and requires very little soldering. Step 2: Plug your LED into digital pin 13 and GND. Note that the shorter pin on the LED is GND. Step 3a: Plug the +5V and GND lines from your two servo motors into the breadboard. I used the M/M jumpers to do this, since my servos had 3-prong female plugs to begin with. Step 3b: Run M/M jumpers from the breadboard to the Arduino’s 5V and GND power slots. 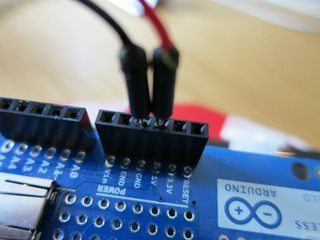 Step 3c: Connect your left servo’s signal wire into digital output 10 on your Arduino and your right servos’ signal wire into digital output 9. 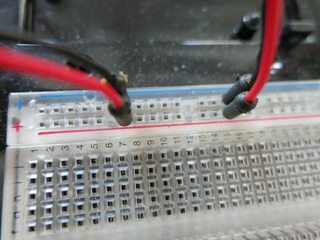 Step 4a: Connect your sonar sensor’s +5V power and GND to the breadboard. In order to do this, I soldered a set of headers onto the sonar module to make it easier to plug into. 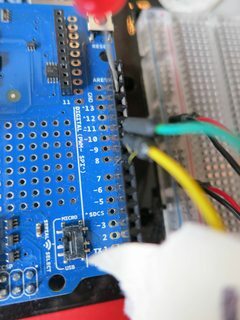 I then used the M/F jumpers to connect it to the breadboard. 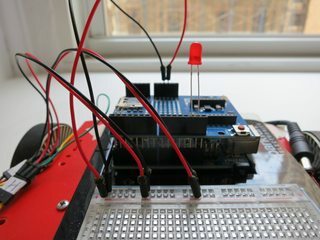 Step 4b: Connect your sonar sensor’s PWM output to digital input 5 on your Arduino. Step 5: Plug RN-XV WiFly module into Wireless SD Shield. Note that I would recommend doing this after you upload your program onto your Arduino, as I had a lot of issues uploading while the RN-XV module was plugged in. Step 6: This is where you would screw all of your parts to your chassis. I didn’t include step-by-step instructions for this part since it will vary depending on how you wish to set up your chassis, but on my model I have two wheels, each connected to one of the motors, and one free-spinning wheel in the front. The Arduino and breadboard are sitting in a SparkFun Arduino+Breadboard Holder and taped to the top of the bot. I also have a 9V battery taped to the bottom of the bot to power the Arduino. This code is mostly self-documenting, however the one area that confused me starting out was that you need to open a Serial port in order to use the WiFly module. This is due to the wiring of the Wireless SD Shield – it uses the Arduino RX/TX ports which are normally used for native Serial connections to instead communicate with the RN-XV (which is configured via commands sent over Serial). Because of this, we have to tell the WiFly library to explicitly use the native Serial object at 9600 baud. 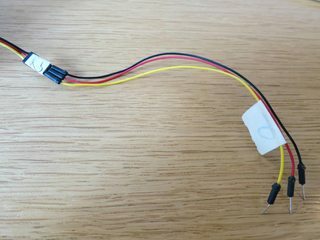 The one possible issue to note is that you cannot use the Serial monitor or the Serial.print commands because the WiFly has taken over the usual port. With that sketch, you should be able to establish a WiFi connection and open a TCP socket to an arbitrary Node.js server (which we have not yet created). From there we can go ahead and add some code to our loop() to make the Arduino turn on its LED when it is connected to the Node.js server and to accept a TCP reply from the server. The pin-outs are relatively straightforward, though you will also notice the rightStopPos and leftstopPos variables. These indicate the stopped positions of the continuous rotation servos. 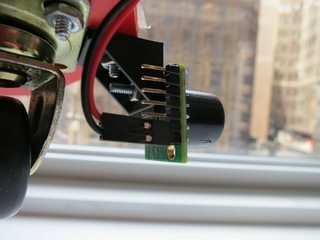 Due to the way that continuous rotation servos are modified, their individual ‘stopped’ positions will usually be different. There is a useful snippet of code here that you can use to find your servo’s stop position. Now that we have our Servos configured, we can create some functions to control their movement. 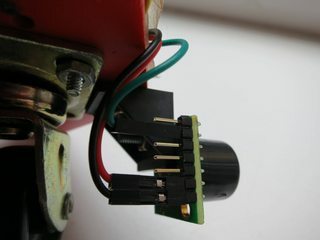 You should note that since the motors are on opposite sides of the robot in the same position, the left servo is actually reversed (backwards is forwards). You might also notice that position 180 is full speed forward and 0 is full speed backwards – this is specific to continuous rotation servos, on unmodified servos these will simply set the servo to a specific angular position. //motors are reversed since they're on opposite sides of the bot, opposite directions make it go straight! You can also go ahead and add 'stopMovement();' to your setup() function so that the motors start out in the stopped position. The last step in setting up our motors is to set up the bot to expect and respond to specific commands from the server. Since we are controlling the bot via the Digits that the user presses in their call, our inputs are actually somewhat simple – a single number for each command. You can see here that in each iteration of the loop, we look for a TCP input from our server, and respond to it by moving in a given direction. We then send a text string as response to our Node.js server – this is currently not in use on the server-side but could be used in the future to confirm that an action occurred. And last but not least is the configuration of our Sonar module. This requires no special library and functions using basic digital I/O. That’s all for the Arduino portion of our code, I encourage you to double check your sketch against the completed example here. 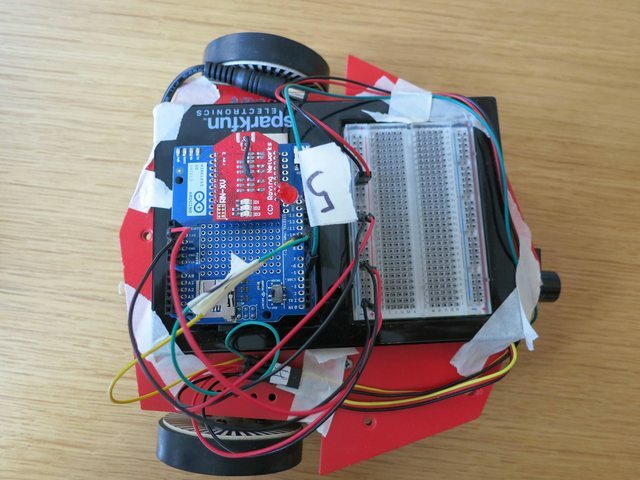 Now that our Arduino sketch is completed, we can go ahead and start writing the server portion of our little TwilioBot. I decided to write the server portion in Node.js simply due to the ease of maintaining a TCP socket with the Arduino and simultaneously communicating with Twilio in real-time. npm install twilio-api@0.3.0 npm install express@">=3.0"
Now that our npm packages are installed, we can start to set up our app. The first thing to do is to log in to your account and navigate to your Dashboard. If you’re new to the platform, I recommend watching our first Quickstart tutorial for information on how to set up an account and purchase a phone number. 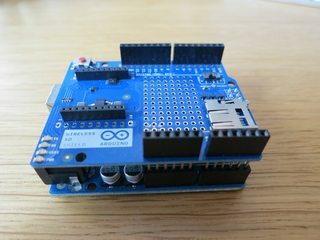 This simply sets up a new express server on port 8002 for communicating with Twilio and a TCP server on port 1337 for communicating with your Arduino. Note that you will either need to modify the twilioAPI.Client call with your Account Sid and Auth Token or edit your environment variables and set your account_sid and auth_token (using the export command on Linux). 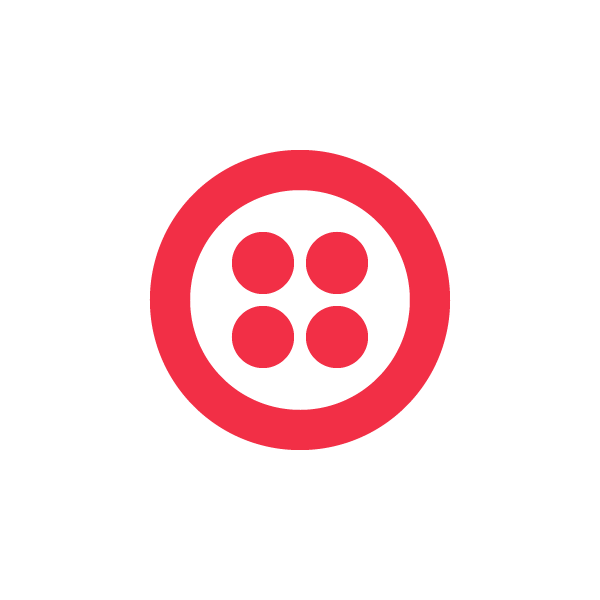 In this example, we are using the Node-Twilio-API package as express middleware – it will auto-generate all of your routes and TwiML responses. This snippet of code sets up our incomingCall callback. It detects whether or not our bot is connected to the Node.js server, and if it is, it Gathers the digits that are used to command the bot and passes them to the getDigits callback function. You might notice that we also set the curr_call global variable to store the current call objcet – this will be used later. This function again detects if our bot is connected, and also adds some additional validation of the digits pressed to make sure that the bot is able to process them. If it is a valid digit, we pass it along to our bot via our TCP connection and then Gather our next command digit. We have a global variable (arduinoTcp) set to keep track of our bot’s socket, since this app is not able to control multiple robots. You will also notice that curr_call reappears here – this is so that we can interrupt our current call flow and pass along data from our sonar sensor. We refer to this as “modifying a live call” and it allows us to stop the call from gathering the next digit and instead use to output the number of inches our bot is away from the object in front of it, and then Gather more digits so that we can continue controlling it. That’s all for the Node.js portion of our software, feel free to compare your code to the finished server.js script here. That’s it for the software portion of the TwilioBot. You can find the full source on GitHub at jonmarkgo/TwilioBot. I encourage you to go out and build your own phone-controlled Arduino now! I welcome our robot overlords.